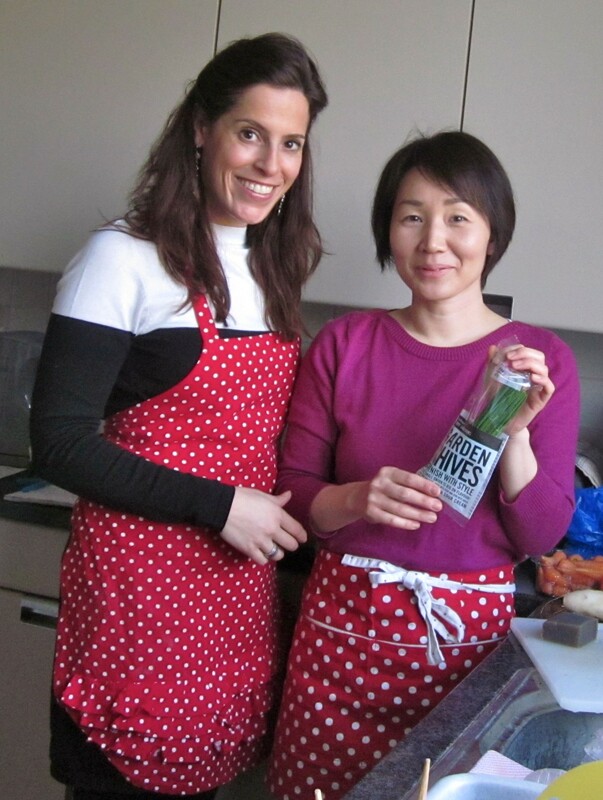 This week my soup journey takes you to Japan , as my dear friend Masako taught me how to make Kenchin soup. 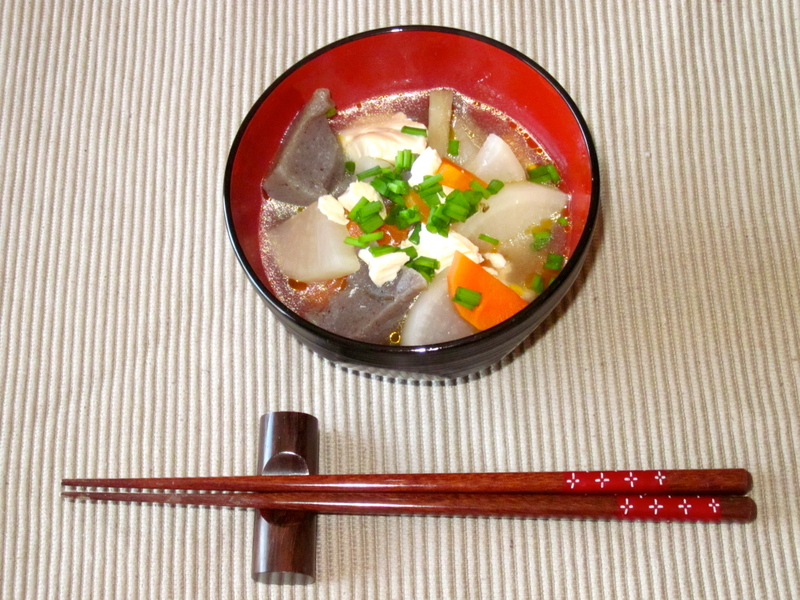 This soup origins from the first Zen Buddhist temple in Japan named ‘the Kenchoji Temple’. Please don’t be afraid to try this special soup, even if you have never made Japanese food before. Once you find the ingredients in your local Japanese grocery, this soup will not be difficult to make. The story behind this temple dish is really nice. To make this soup you start off with stir-frying vegetables in sesame oil and then simmer in Japanese broth. Afterwards you crumble tofu into the soup, which in Zen belief stands for: ‘all food should be divided equally between the residents of the temple, regardless of their status’. A beautiful and profound meaning, for a relatively simple dish. Burdock root has been used for centuries in Asia. It is very popular and traditionally used to clear the bloodstream of toxins, as a diuretic, and as a remedy for skin problems. Konnyaku is a true health food, as it does not have any fat, is rich in dietary fiber and low in calories. It is a traditional Japanese health food made from Konnyaku potato. It is a jelly type of food and recent studies has shown that it normalizes the level of cholesterol. It also prevents high blood pressure and normalizes the level of sugar in the blood. Remove the tofu from its packing, and roll it in a kitchen towel tightly. Let the tofu stand for at least 30 minutes. This will help to drain all the water from the tofu. Scrub the burdock root by scraping off the skin with a sharp knife and then cut it in thin, sharp oval shape. Now place the burdock pieces in cold water and soak for 5 minutes. Heat the sesame oil in a saucepan over medium heat and stir-fry the carrot, radish, konnyaku and burdock for 10 minutes. Then add 1 liter of Japanese stock and bring to a boil. Once boiling, reduce the heat and cook the vegetables until tender. Now crumble the tofu into the soup and season with the soy sauce, mirin and salt. Ladle the soup into bowl and sprinkle some fresh chives on top. You were right, it was a bit bland, but the guests liked it.